Welcome to the 28th edition of the Carnival of Business, hosted this week at The MineThatData Blog. 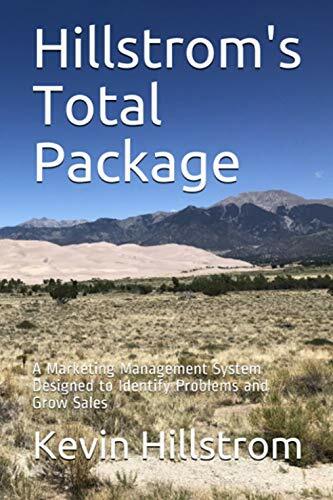 My name is Kevin Hillstrom, a database marketing executive with nearly two decades experience analyzing customer behavior. At one time in my career, I wrote SAS programming code on a PC with a 20meg hard drive, monochrome monitor, and an HP7475 plotter. 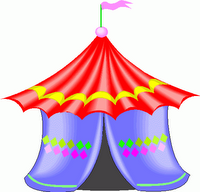 The Carnival of Business was founded by Tim at MyMoneyForest. Each week features a different host. Next week, be sure to visit The Real Estate Tomato for the 29th edition of the Carnival of Business. I divided up this week's submissions into four categories. I promised to give any submissions that dealt with the business of Halloween top billing. Next, I outline four contributions that make up the Honor Roll, the posts I felt were best this week. Another group of contributions make the "Next Best" list, with a very large number of submissions rounding out this week's Carnival. Please give these business bloggers your attention by clicking on their links, and where interest warrants, add their RSS feed to your RSS reader. Praveen at My Simple Trading System talks about "Halloween Synergy", sharing what a horror-filled amusement park in New York has lined up for Halloween. Andrew Trinh at Trizoko submits "How To Overcome Your Fear Of Success". Andrew links Halloween fears with business fear, and talks about how to overcome those fears. Greg Swan at the BloodhoundBlog used a Halloween-based title in "Interview With The Vampire: How Nick Learned To Knuckle-Under ..."
Daniel Scocco shares "Seven Questions With Roger von Oech". This is a well-written interview with a leading expert on creativity. Trent at Stock Market Beat has a good discussion called "Not The Time To Own A Truck", outlining a different trucking model that yielded success. Christine Kane took considerable time to reflect upon what is important in life, and offers her comments in "Don't GET Rich Quick. BE Rich Quick." David Maister at DavidMaister.com has a nicely done piece on "Guns For Hire". He starts the discussion by looking at the Edelman / Wal-Mart "flog", and then explores the challenges businesses have saying "NO" to less-than-ethical business opportunities. The discussion invited a lot of comments. 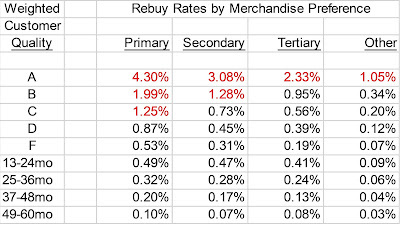 FreeMoneyFinance offers "Why I Hate Rebates, Part 2". It would be great to have an executive from Scandisk comment how the customer benefits from this process. Jon Symons contributed "Job Exit Tip - Flipping The Switch". I imagine that many individuals go through the process Jon describes. Here's a good mathematical discussion from ForexBlog called "A Different Type Of Moving Average Cross". Next week's host, The Real Estate Tomato, offers "Giving Away Trade Secrets? ", an interesting discussion about how bloggers may be giving away secrets by informing the public about information for free. Enjoy The Remainder Of This Week's Submissions! Bill at MyBubbleLife speaks about "Benjamin Franklin's Faithful Plan", illustrating how the leader accomplished so much. Steven Silvers talks about Hurricane Katrina and Michael Brown in "Ousted FEMA Director's Failure Offers One Good Crisis Management Lesson". Grant at Kill The Meeting shares "Telecommuting In The Media". Maybe managers will be more amenable to telecommuting when gas prices rise above $8.00 a gallon? Charles H. Green of Trusted Advisor Associates writes about "Paint By Numbers Management", his take on the HP leak scandal. It would be a great social experiment / simulation to put each of us in the situations these folks were in, and see how our actions would have caused different outcomes, either positive or negative. Off Plan Properties submits "Sama Dubai Snap Poll Shows Dubai Property Outshines China And India", comparing Dubai to other attractive opportunities. Jack Yoest at Reasoned Audacity gives "5 Tips To Get Your Company Ready For Your Radio Or TV Appearance". If you are lucky enough to be featured on television, these are important tips for you to follow. Jeff Larche at Digital Solid shares "Data Mining, Finding An Arsenal In A Bunch Of Dry Bones". Jeff suggests possible ways that direct marketing and data mining could be used to drive local businesses. Peter Kua at RadicalHop sent me "Product Innovation: Revisiting The Formula Of Product Leaders". He offers numerous opportunities to drive business success. Smilerz at Life, Liberty and the Pursuit Of ... submits Stop! It's Budget Time. It would be good for folks to study the different ways different companies execute their strategic budgeting process. Mike at OnlyOneMike submits "How To Enjoy Your Life". It is important in business to recharge your batteries. Read the article to see how Mike is recharging his batteries. Barry Welford at The Other Bloke's Blog offers us "ask Google, google Ask", a discussion of how Google wants to stop having its name be used as a verb. Travis Wright at Cultivate Greatness / Personal Development offers us the third in a series of podcasts about Napoleon Hill's Law of Success. John at Mighty Bargain Hunter says that it "Must Be Nice To Turn Down A Billion Dollars", and shares his thoughts about the management team at Facebook saying 'no' to a big buy-out opportunity. David E. shares "What Is The Secret Of Success" with our readers. I enjoyed some of the comments about success coming from practice. Success often comes from honing one's craft over time. He also submitted "When Is The Right Time To Invest?" Scott at Scott On Money shares "Experian Triple Advantage Hassle", a criticism of service associated with the Triple Advantage Hassle program. Spencer Hill submits "Want More Money From Your Business", discussing tools that you can use to save more money for your retirement. Michael Wade at Execpundit wrote "Ten Powerpoint Presentation Mistakes". Powerpoint is a curse and a blessing, isn't it? At Towards a Better Life, Victor Fam shares with us a pair of discussions. In The Risk of Missed Opportunities. Fam advocates having an entrepreneurial mindset, not an employee mindset. In Millionaire Factors, Fam shares six secrets of wealthy individuals. Isabel M. Isidro submits "Breaking the Myths of Entrepreneurship", outlining three myths about starting your own business. Brandon Peele at Generative Transformation shares Leadership Revisited with us. He outlines his definition of leadership, following work done over the past few months. Emmanuel Oluwatosin shares "Customer Is King". He gives tips for how to deal with customers who may not be right, but have problems that need to be resolved. Sanjay Kumar presents "Characteristics of Entrepreneurs", citing differences between small business owners and entrepreneurs. Finnegan Lane offers us "What The Silicon Valley Startups In My Life Taught Me", sharing several examples of the dynamics of the startups he worked for. Pamela Slim at Escape From Cubicle Nation discusses "Top 5 Nitpicky Mistakes Made By New Entrepreneurs That Drive Me Crazy". You know, I don't have my picture on my blog. Hmmmm. Julia Dorofeeva contemplates "How To Start An Online Dating Business". Patricia shares "15 Signs An Adult Is Stuck Thinking Or Acting Like A 3 Year Old". The author believes that happiness in business can happen if one acts more like a grownup. Adnan at Blogtrepreneur forwards "Young Entrepreneur's Tools: Email And Instant Messaging". Adnan talks about using E-Mail and IM to compete with the big boys in their big offices! Bryan C. Flemming contributed "Million Dollar Savings Club Update, Day 65". Looks great Kevin! Thanks for hosting! You're welcome to anytime. Awesome carnival, Kevin! Thanks for hosting, and for summarizing each entry. Great reads. Yes, I do agree with you. By the way I am a business owner. I want to improve performance of my employees. I heard about Marc Manoff as far as I came to know he has experience of several years and He can really help to decide strategies of your company to achieve success. So any response about them is greatly appreciated.